The music world was greeted with sad news this week, with the passing of the “Fifth Beatle”, Sir George Martin, aged 90. The conductor, to The Beatle’s orchestra, George Martin was an English record producer, arranger, composer, conductor, audio engineer and musician. Who is often referred to as being the "Fifth Beatle", including by Paul McCartney himself, in reference to his extensive involvement on each of the Beatles' original albums. 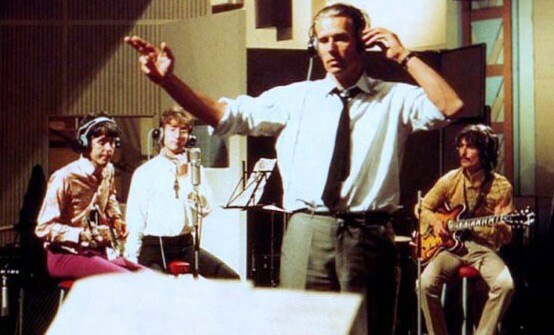 The music came from the Beatles – but in many ways, it was George Martin’s willingness to step outside the boundaries of what was acceptable, that helped make them special. Credited as the “man who re-invented pop-music”, George Martin was a regular at the now world-famous Abbey Road Studios. Which is where the Beatles would first audition for him, on June the 6th, 1962, in a meeting that would change the face of music forever. On a personal note, having grown up listening to the collection of Beatle’s vinyl my parents had accumulated, and adored themselves, as young-hip Mods and Rockers. Albums that I would increasingly take-to-heart, and treasure myself, in my later teens - stealing them away from my parents, and claiming them as my own. Despite the partial-numbness that comes from being bombarded on an almost daily basis, with news of yet another departed celebrity, via Social Media, the news of George Martin’s passing, feels particularly poignant, to those of us who found favour with, comfort in, or were influenced by - the music of The Beatles, polished by the hands of the legendary Sir George.